Theodor PrÃ¦st Nymark Jensen â€œRoaming Away on the Pillars of Consensusâ€œ (installation view). Photo: Frej Volander & Theodor PrÃ¦st Nymark Jensen. Solo show by Theodor PrÃ¦st Nymark Jensen, curated by Simon Ganshorn. As I am sitting here, thinking, about the past, wondering how, and when. Where it belonged and how it was made. Mass-produced, with joy I rest my appearance on this early morning, standing straight and proud in the shower, soaked in the memory of others. The nostalgia of sorrow devours the cowards of society and meanwhile, the wild dogs run through the mist of wilderness in midtown alleys. Alleys filled with artifacts of an unspoken time in history, without ends. A never-ending story, recited through rituals by the orca of modernism. With no actual connection to the omnipresent consensus of culture, they swim through the colossal structures of meaning. The meaning, of which life is driven towards, is buffering on the wheel of eternity. New classics are constructed and ancient modernity is written. The vehicle of association moves throughout the landscape, crossing the borders and into the apartment of man. With these vessels of complexity, I compose a proposal for a renewed perception of heritage. A relic presented in contrary to its production and artificiality. The environmental influences that dissolve the reality of our nature. As the dying tree, cut off by rotors, overturns and shatters the windshield of a white automobile. They distance themselves so far from what they perceive as unpleasant and unfamiliar. Conform and bound to false symbolism of their own imagination. Thank you to: Simon Ganshorn, Frej Volander, my family and my friends. Finissage: Torsdag d. 20. december, kl. 17.30 - 20.30. Theodor PrÃ¦st Nymark Jensen â€œSystem of Nature,â€� 2018 (Tripod, Iphone 6 with charger (playing demo video from Openworm), sleeping machine 2X, faux grass, faux moss stone, humidifier, Monster Energy, grow light, USB splitter). Photo: Frej Volander & Theodor PrÃ¦st Nymark Jensen. 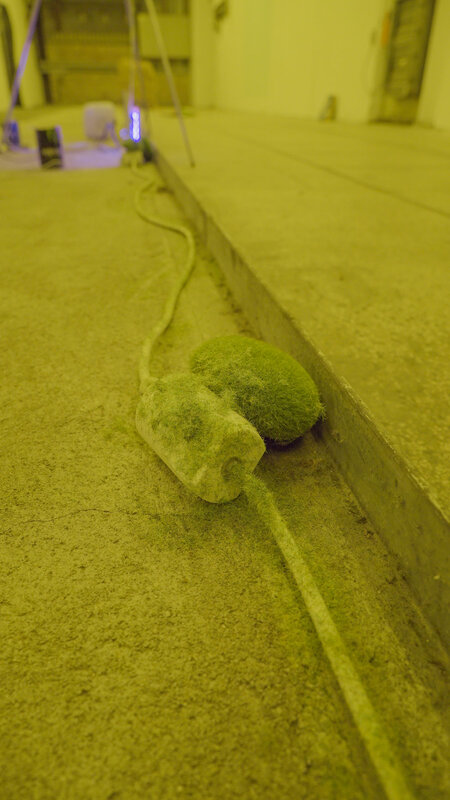 Theodor PrÃ¦st Nymark Jensen â€œSystem of Natureâ€� (detail), 2018 (Tripod, Iphone 6 with charger (playing demo video from Openworm), sleeping machine 2X, faux grass, faux moss stone, humidifier, Monster Energy, grow light, USB splitter). Photo: Frej Volander & Theodor PrÃ¦st Nymark Jensen. Theodor PrÃ¦st Nymark Jensen â€œcreature,â€� 2018 (Unfired clay and latex on book). Photo: Frej Volander & Theodor PrÃ¦st Nymark Jensen. 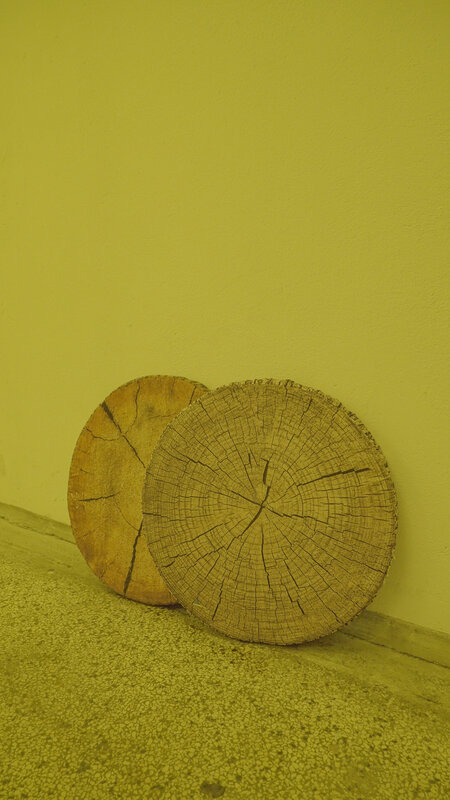 Faux wooden trunk slice cushion. Photo: Frej Volander & Theodor PrÃ¦st Nymark Jensen. 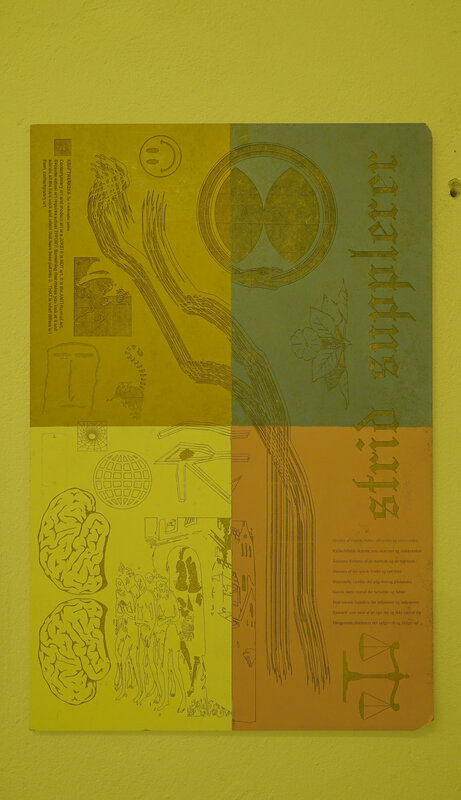 Theodor PrÃ¦st Nymark Jensen â€œCarthars Being Expelled From Carcasonne,â€� 2018 (detail digital collage laser engraved on painted HDF). (back TV wall mount, digital print on faux satin). Theodor PrÃ¦st Nymark Jensen â€œPhoenixâ€� 2018 (melted faux crocs shoes, spiritual magazines). Photo: Frej Volander & Theodor PrÃ¦st Nymark Jensen. (faux tulip bouqout, horseradish powder, faux papyrus). Theodor PrÃ¦st Nymark Jensen â€œNovember celebration,â€� 2018 (Tidepods, wood basket). Photo: Frej Volander & Theodor PrÃ¦st Nymark Jensen. 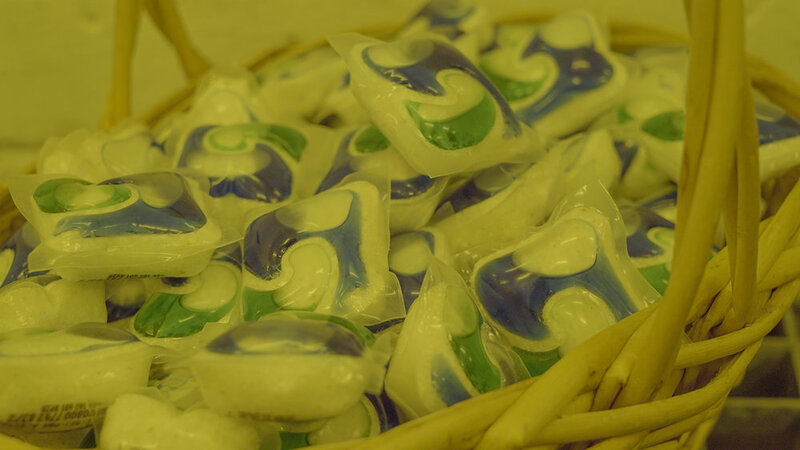 Theodor PrÃ¦st Nymark Jensen â€œNovember celebrationâ€� (detail), 2018 (Tidepods, wood basket). Photo: Frej Volander & Theodor PrÃ¦st Nymark Jensen. 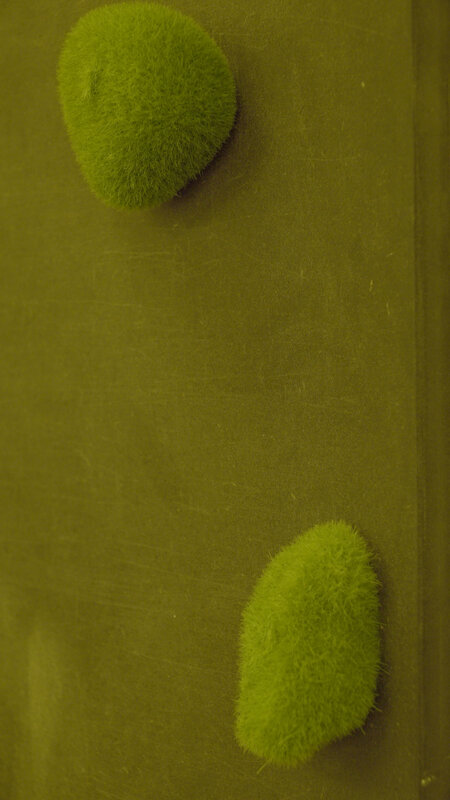 Theodor PrÃ¦st Nymark Jensen â€œUntitled (fibonacci),â€� 2018 black MDF, faux moss stones. Photo: Frej Volander & Theodor PrÃ¦st Nymark Jensen. 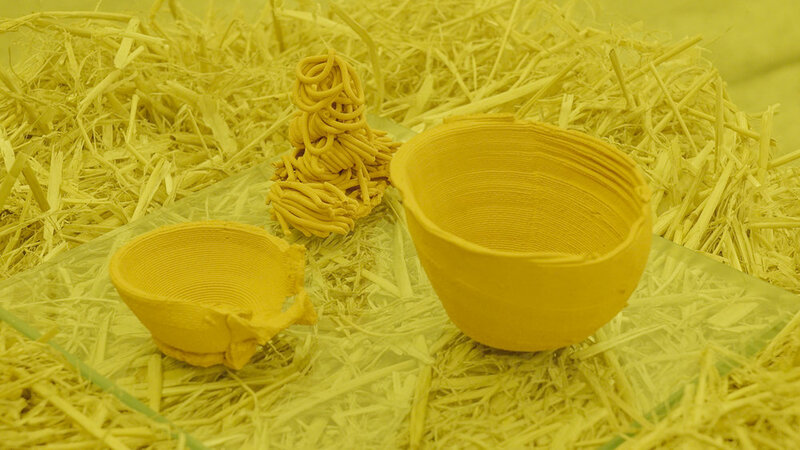 (haystack, glass plate, 3D printed ceramics). 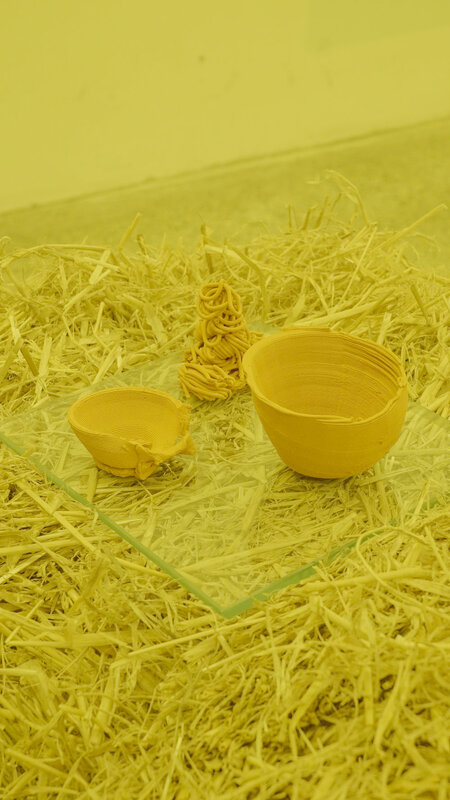 Theodor PrÃ¦st Nymark Jensen â€œUntitled (Vessels),â€� 2018 (haystack, glass plate, 3D printed ceramics). Photo: Frej Volander & Theodor PrÃ¦st Nymark Jensen. Theodor PrÃ¦st Nymark Jensen â€œUntitled (Facial Study),â€� 2017 (bicycle seat, silicone). Photo: Frej Volander & Theodor PrÃ¦st Nymark Jensen. (faux lantern, books, stone fragment from Armenian church.